Doc Xls Ppt to Pdf Converter 3000 is an easy-to-use and flexible converter which is designed to free batch convert Word, Excel, PowerPoint to PDF with preserving the original text, graphics, images, layout etc. User-friendly interface allows you to operate very easily. Just add files to the list and click the Convert button, this software will directly convert them to a PDF document. It supports various formats as doc, xls, ppt etc. It is standalone software, Adobe Acrobat Reader is NOT required. And this software doesn't depend on any print driver. 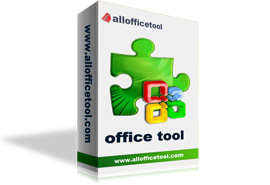 Support convert Office document, Word, PowerPoint to PDF. Create PDF file with three modes (default mode, image mode, text mode) for different needs. Merge each sheet of Excel to PDF. Convert all pages of one multi-page PowerPoint to one single PDF. Support convert each page of PowerPoint to one single PDF.